Whoever thinks about a trip to Morocco, it won’t be far off to also visit the bustling city of Marrakech. But one week in Marrakech? Is it worth spending a week in Marrakech and its surroundings? Does it have enough to offer? We say yes! Why? You’ll find out! Simply stay with us. One week in Marrakech – we gonna start off pretty relaxed. Either you just arrived in your accommodation, that you gaze in amazement or you quickly wash off the flight? After a bit of relaxation, the adventure is about to start: orientation. The heart of Marrakech is the old town, known as the Medina. Here, you will find small shops and markets, the so-called Souks in every corner. Souks are the famous markets on which you will be able to find spices and bargain loads! Wherever you stroll, you will be able to smell oriental scents and a Marrakech that presents itself from its colorful and friendly side. Wherever you look: hand-woven carpets and handmade leather goods as well as shiny lamps. Attention: As soon as you hear the sound of a scooter, jump to one side of the road. Moroccans tend to transport almost everything through the narrow streets and rarely slow down. Allow yourself to wander around without looking too closely where you are and absorb the different smells of Marrakech. Some visitors love it, we tried to avoid it: Marrakech’s most famous square, the Djemaa el Fna. Here everyone and everything meet each other. During the day the huge square is a meeting point for everything that somehow could attract tourists. Charmers sit in front of their traumatized snakes, other Moroccans wander around with monkey’s on a leash, dressed up in football jerseys. The only thing that seems to matter is attention. Attention, which of course, doesn’t come for free. Tourists that want to take home a picture with one of these traumatized creatures, need to pay quite a lot. Shocking for us to see, that tourists still seem to enjoy the show. Please note! Whether the monkey is treated in a good way or not is nothing we can judge on. But we certainly know that a monkey doesn’t belong on a hectic market square, especially not in diapers as a tourist attraction. Please don’t ever support this! In the evenings, Djemaa el Fna morphs into huge hustle and bustle becoming one big food court. Every stand looks alike – good that all of them have numbers. A small hint here: The merchants of the food stalls are extremely obtrusive, thus if you are not interested in food, communicate that with a clear ‘no’. Essaouira is a small harbor town with approximately 85,000 inhabitants 110 miles west from Marrakech and the perfect place to slow down and relax after spending time in the sometimes hectic Marrakech. We decided in favor of a day trip. The day starts in Marrakech, some driving, stopping at the famous goat trees and a small argan oil factory. Arrived in Essaouira you explore the small town yourself wandering through tiny streets and calm souks. ➳ More details regarding our trip you will find soon in our dedicated article. How days 3-5 of your week in Marrakech looks like, really depends on you. One week in Marrakech most of the time comes also with the thought to spend a night in the desert. Frankly, who doesn’t want to spend a night under sparkling stars completely isolated from the outside world and observing the well-tempered animals lying in the dunes in the next morning? Of course, we all do! If you decide in favor of a trip to Marrakech, you have multiple choices. ‘Close’ to Marrakech there are a couple of ‘desert options’: The Agafay Stone Desert, the – let’s call it – wanna be desert Zagora and the real Merzouga desert. As the Agafay is located the closest to Marrakech, you can book one-day trips to it. To Zagora, you can book 2-day trips and for to the far away Merzouga desert, you need to spend 3 days. After long research, we decided on a 2 day trip to Zagora, which, in retrospect, we wouldn’t recommend. Zagora is located in the very beginning of the desert and it simply doesn’t feel like a real desert. If we would have to decide again, we would most certainly spend three days on a trip to Merzouga. In our case, we decided in favor of Zagora, simply because of time reasons. ➳ Our in-depth article with everything you need to know about the desert trips, you’ll find in our dedicated article. Either you are on your way back from a unique experience in the Merzouga desert, or you are back from Zagora and have plenty of time today to continue to explore Marrakech. Marrakech continues to show its best side to those interested in photography. Also, the Ben Youssef Madrasa, a former Koran school, is worth a visit if you are in Marrakesh. It is still one of Marrakech’s most popular sights if not all of Morocco. Founded in the 14th century, the Koran School in the Medina presents itself as an architectural jewel full of Moroccan history. You’ll witness detailed craftsmanship of mosaic combined with oriental architecture and design. In the past, up to 900 pupils were accommodated here in the prayer room. Unfortunately, the school was closed during our stay in Marrakech due to renovation work. The work is supposed to continue until 2020. We also read that there are tricksters around the building who promise to show you the entrance of the school. You will find the entrance through them, but then find yourself standing in front of a locked door still having to pay a few bucks to them. Tip: Try to be here early to still enjoy the peace and silence in the building. On Instagram, the location has already become a little highlight because of the beautiful architecture. Around 3 pm you can slowly make your way to El Badi Palace. We advise you to go around 3 pm, as the palace closes at 5 pm. Through this, you can catch the beautiful light and escape the midday sun at the same time. 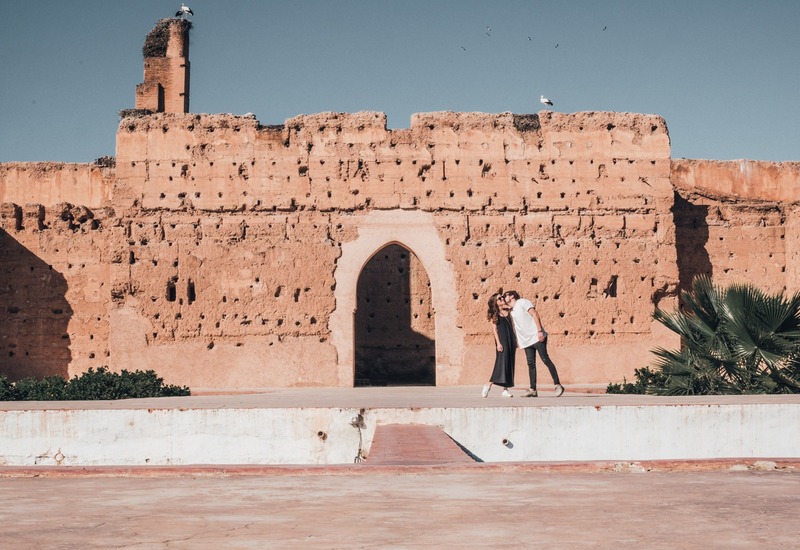 Depending on your taste and interests, while spending one week in Marrakech you can visit the Museum of Photography (Maison de la Photographie) or check out the Koutoubia Mosque, the largest mosque in Marrakech – built in the second half of the 12th century. With its 77 meters in size, it is also one of the oldest mosques in Morocco. However, the only possibility is to look at the mosque from the outside if you are not a Muslim. The reason is that the mosque is still actively used today. Alternatively or additionally you can also have a look at the Saadian Tombs, the graves of the Saadians, for the equivalent of $8 entrance fee. On almost every blog post or article, the Jardin Majorelle, the famous botanical garden restored by Yves Saint Laurent, is highly praised. Of course, we also didn’t want to miss the beautiful blue facades with the high climbing cactuses, but we turned back in front of the entrance. The queue of those who wanted to storm into the botanical garden scared us off. Looking at the entrance fee, we quickly agreed: we turned around and visited another part of Marrakech. Said, done. One week in Marrakech day 6 – you will explore a deep dive in the culinary side of Marrakech by being part of a cooking class! You and your group of aspiring chefs can look forward to shopping groceries at the local Souk, getting to know oriental spices, preparing various dishes together in one of the most beautiful locations and a cozy afternoon with delicious food and nice people – all in all a wonderful day and perhaps the most enjoyable day during our week in Marrakech. On the seventh and last day of your Marrakech trip you can once again explore the city in a very relaxed way. Depending on how much time you have left, you can catch up on things you haven’t managed to see yet, or simply watch the city go by over a mint tea on a rooftop terrace. You can make another short detour to one of the souks, get some souvenirs or enjoy the last hours in the Riad. Just what you want! Do that what you haven’t done yet. Or just lean back and relax! Which sights you want to visit on which days is of course up to you. This is just a suggestion on how to make the most of your time in Marrakech. If you rather prefer to spend an entire day relaxing in the hammam – why not?! :) Whether you want to go to the desert at all, or maybe you are less interested in the city of Essaouira, that’s all up to you. We personally think that one week in Marrakech alone is a little long. 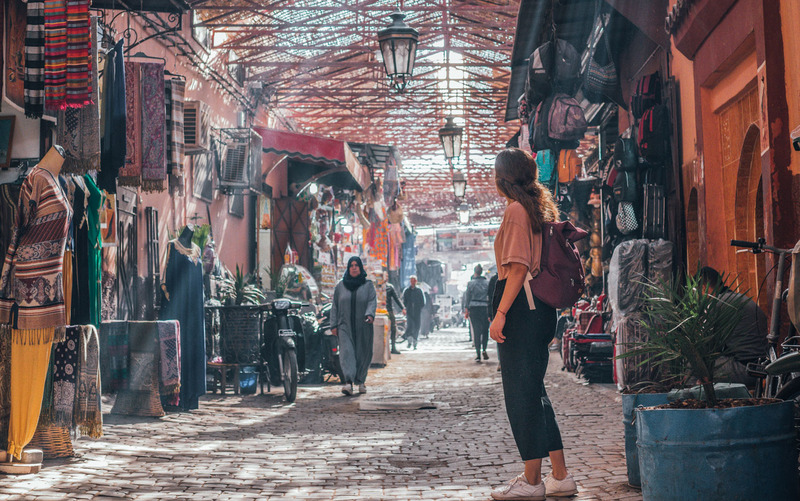 However, from Marrakech, you can go on numerous day trips, for example to Essaouira, to the Atlas Mountains / Ourika Valley or to the Ouzoud Waterfalls, which are 2 1/2 hours away from Marrakech. You are looking for even more tips for your Marrakech trip? Then, head over to our article summarizing 10 tips for Marrakech. These were our personal highlights for a week in Marrakech. Have we forgotten anything, or do you have any questions? Leave us a comment! ➳ You have a bit more time? 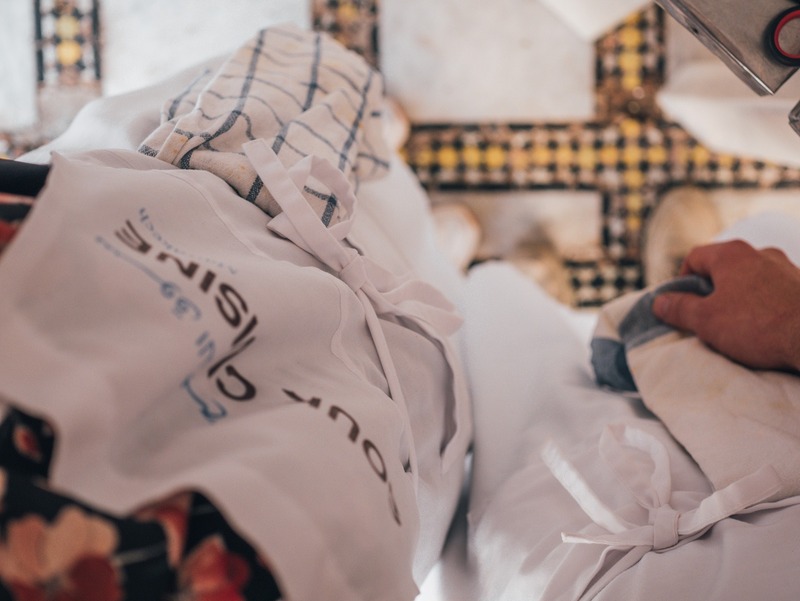 We strongly recommend doing a cooking class in Marrakech! We loved it! ➳ You want to experience a desert trip in Morocco? Head over to this article! 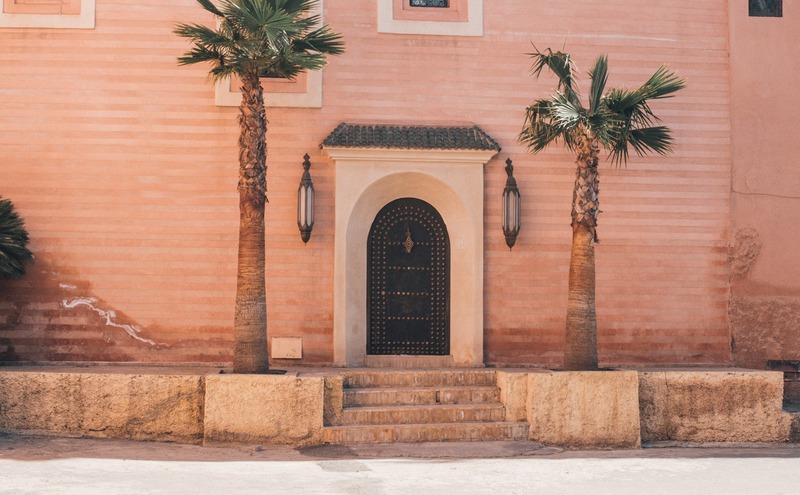 ➳ Still eager to find out more about Marrakech? Have a look at our 10 Tips for Marrakech!